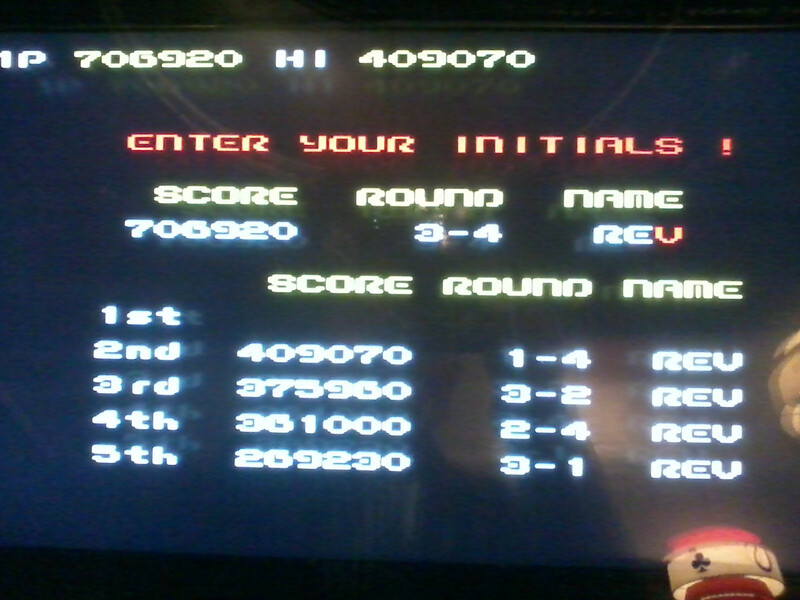 I recently topped my previous high score on the arcade cab at the back of "Nice N Sleazys" in Glasgow, if anyone can knock me ("REV") off of the top spot on that same machine, then I will buy them a pint. And try the "Murderous Hog" burger while you're in, it's amaaaaaazin; pork mince, smoked bacon, pulled pork, bourbon jelly, fresh bread and a wee saucer of pork gravy to dunk your triple fried chips into (or, as I do, neck like a shot glass). I'd love to pop in at some point - Not to topple your score mind you, just to try the food!